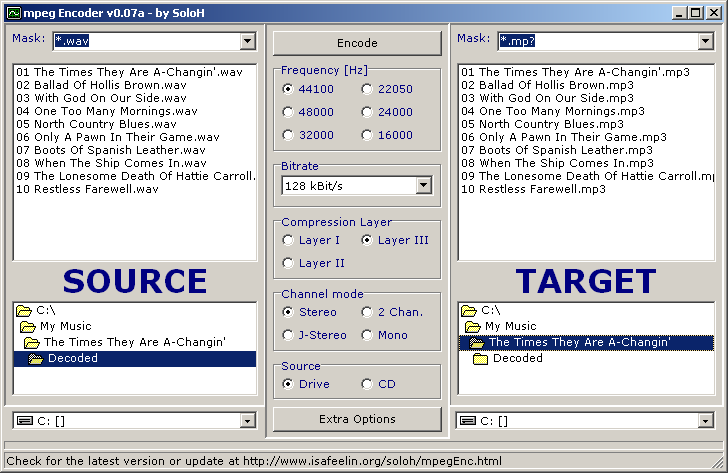 SoloH is another dist10 compile that encodes MP1/2/3 files, only this time with a fancy GUI instead of just a command line interface. Also, it works as a CD ripper. For that reason, it became pretty popular in its time. But popularity comes at a price. This is another encoder that felt the wrath of Fraunhofer and the developer had to remove binaries from his server. Besides outputting bad quality MP3s, it is very slow and buggy. Do not open the about box, it will hang the program. The web site and version history can be viewed at the Internet Archive, here.